Recently, I had a week-long break during my transition from one full-time job to another. 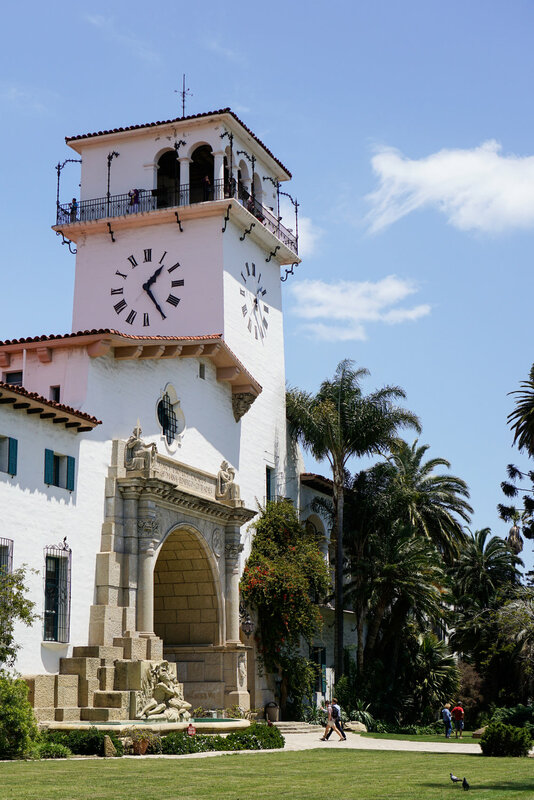 Instead of staying at home to relax, I decided to venture out so I could put together a list of places worth visiting in different counties within Southern California. I was only able to visit two main spots in each region per day. 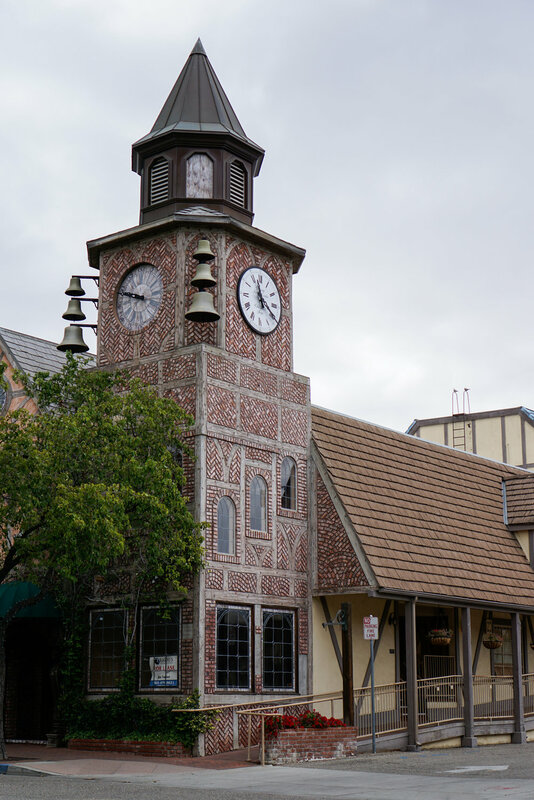 Depending on the person, I would expect visitors to spend anywhere from one to five hours at each spot, and unless otherwise stated, parking and admission were free. I drove for over 550 miles, and walked for over 75,000 steps, and it was so fun! The map above was color-coded to show you the spots I did in the same day, but I grouped it by county in the list below. 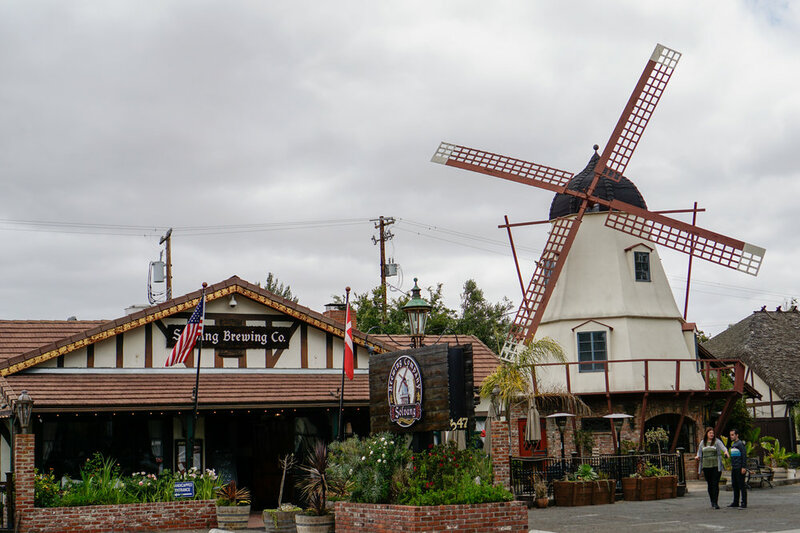 A few years ago, I visited this area to do wine tasting and to stay overnight in Solvang, as well as visit Santa Barbara the next day. I decided to do that trip into one day, without the wine tasting of course. 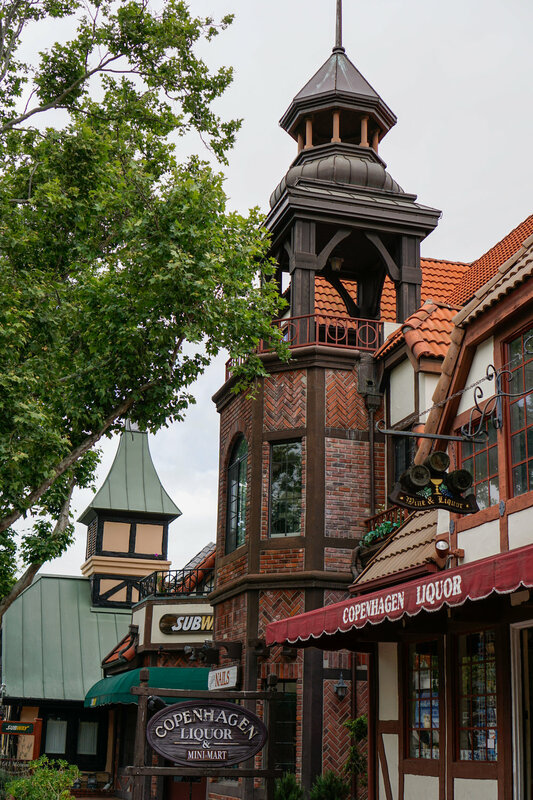 During this recent visit, I focused on admiring the adorable architecture in this quaint little town. 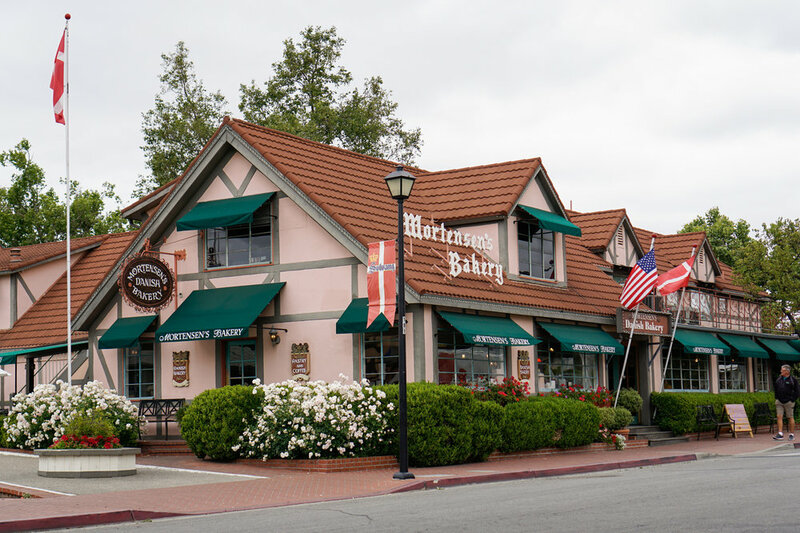 There were a lot of shops and bakeries here and one could definitely spend a few hours here in addition to checking out the wineries within the city or in Santa Ynez. 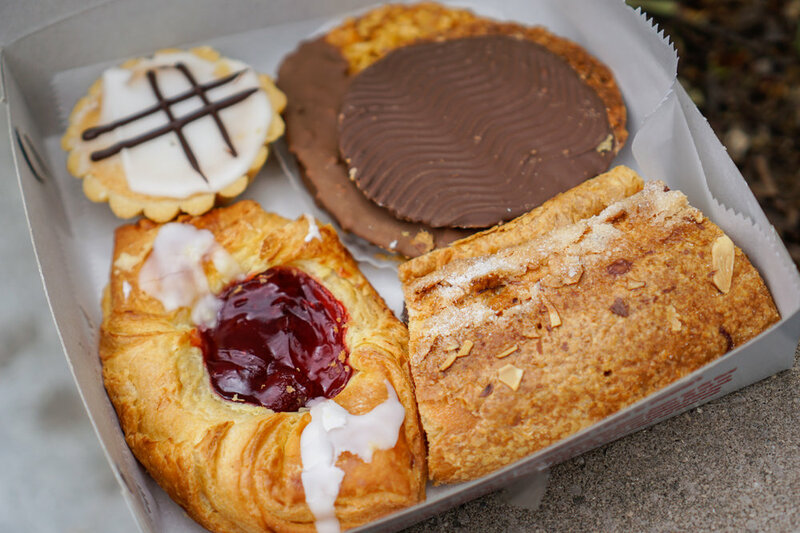 I made sure to purchase some pastries from the bakeries here before I left to Santa Barbara! 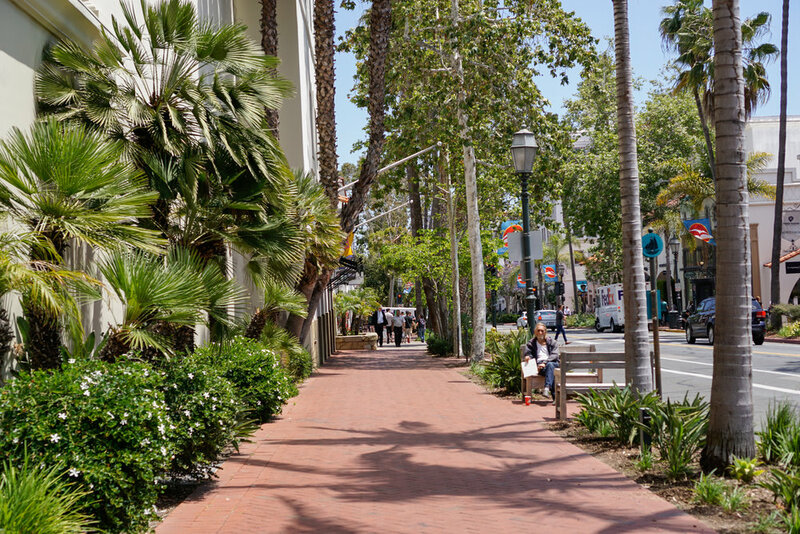 In Santa Barbara, I checked out the main shopping area on State Street and also admired the beautiful buildings such as the Santa Barbara Courthouse. 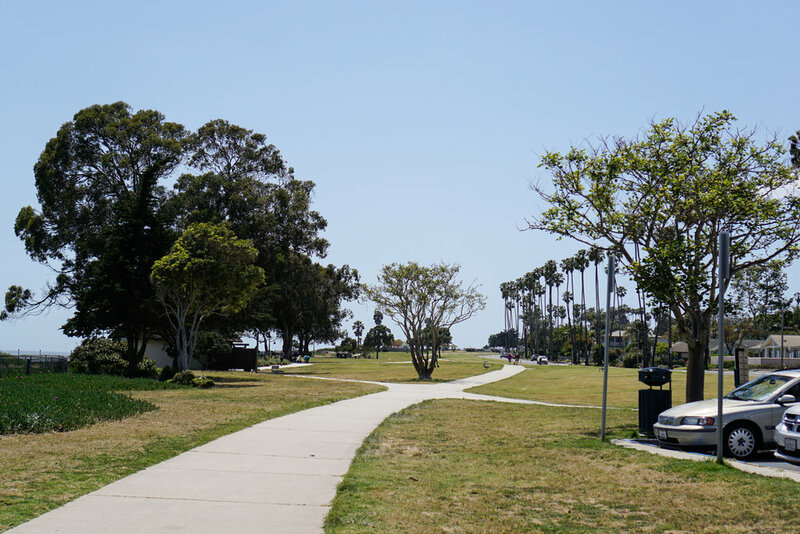 I ended my visit to Santa Barbara with a visit to see Shoreline Park, which was a grassy park along the beach. The park offered amazing views of the beach, and there was a staircase leading down to the rocks for even better views! It was such a scenic and refreshing way to end this visit! I grew up in this neighborhood but unfortunately, had only been here a few times. 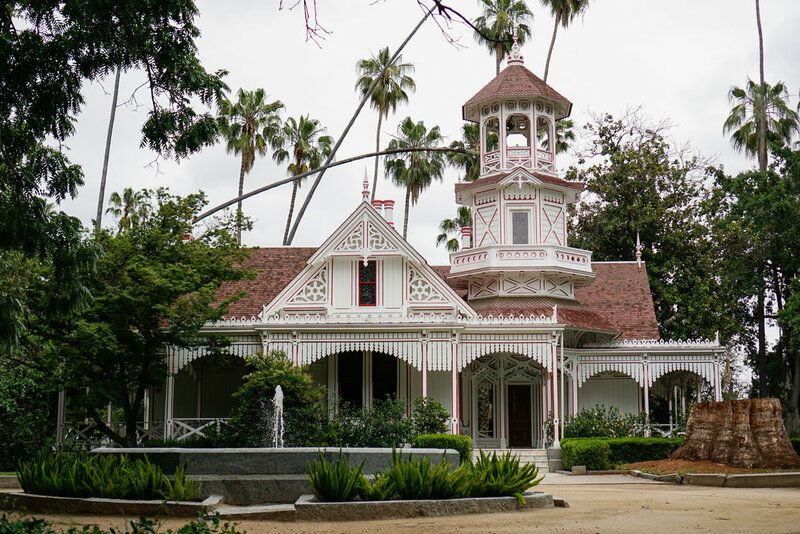 There were many unique sections in the garden, including a tropical greenhouse, plants from different parts of the world, and a few historical buildings, such as the Queen Anne Cottage. 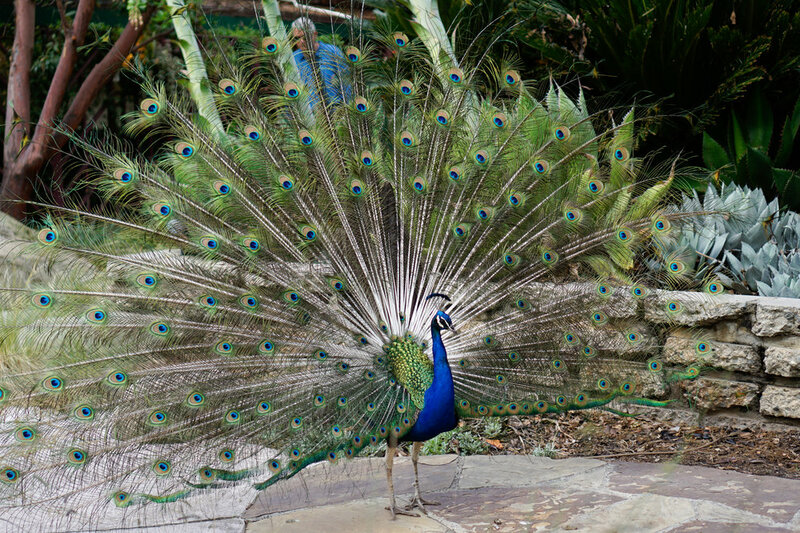 In addition to the stunning gardens and views, there were peacocks throughout the park, as well as turtles and ducks at the ponds. This place was a hidden gem! 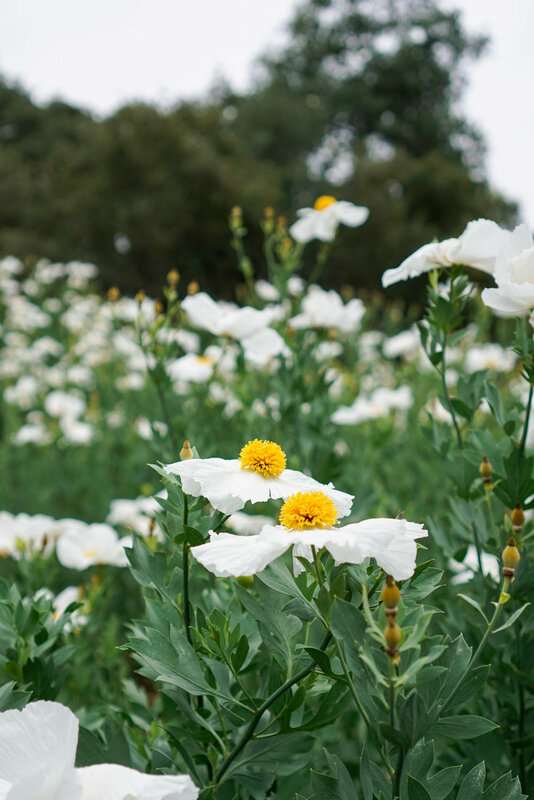 It may be because I visited the Los Angeles County Arboretum and Botanic Garden on the same day, but I felt overwhelmed at the size of Descanso Gardens; I felt that this was better suited for those who prefer to go hiking. During this visit, my favorite part was the Rose Garden because it was so vast and breathtaking! I spent half of the time here and the rest of the time exploring what I could. 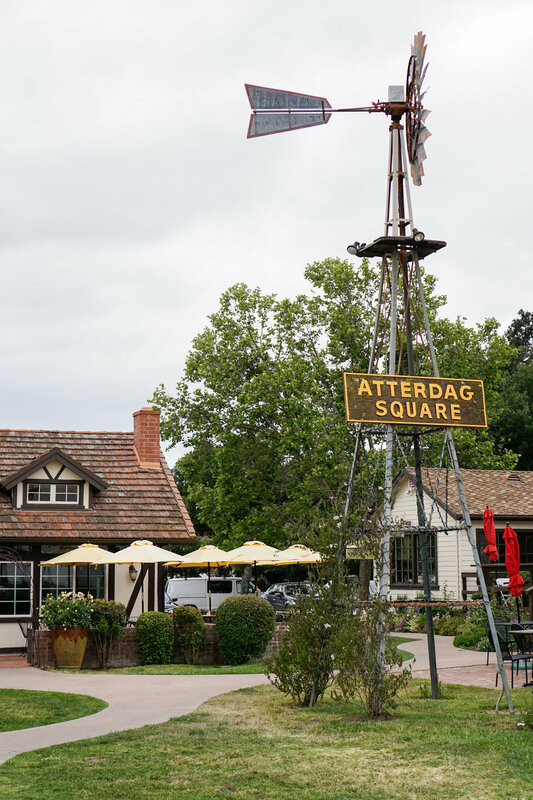 I wish I could have enjoyed this more, and I would still recommend visiting Descanso Gardens but just not on the same day as visiting the Arboretum. The Getty Villa was not as large as The Getty Center, but there were plenty of ancient art and architecture to see. They required an online reservation, so I had to reserve and print out my confirmation before parking. Parking was $15, but because I planned on visiting the two sites in one day, it was a one-time parking fee. This museum was so historic and unique, from the Greek and Roman art exhibits to the beautiful courtyard and gardens. It felt like I was in Rome as I walked around the gardens! I was also able to write prayers to place at the shrine behind the beautiful Venus statue. There were so many photo opportunities here; I especially loved the hallways and the ceiling and floors! I was so happy I was able to pay that one time fee of $15 to be able to park at both sites on the same day. As soon as I parked, I headed to the tram so I could ride the tram up the hill to the museum grounds. The Getty Center had a big variety of exhibits, including European and American Art, from medieval times to the present. I loved how clean and modern the buildings were and how gorgeous the landscaping was in the gardens! I also appreciated the wonderful views of Los Angeles from different parts of the Getty Center. Like most people, I had always recognized this museum for the Urban Lights welcoming visitors from the busy street of Wilshire Blvd. This visit was my first time inside the actual museum. The art here was even more contemporary and modern than the art I saw at The Getty Center, but each exhibit had something interesting to see, from abstract German art to traditional Japanese paintings. I ended the visit by getting photos of the Urban Lights up close and from across the street. This place was hidden in the hills of Hacienda Heights. I had visited this temple once before and it was so memorable that I had to incorporate it into this post! I spent time wandering the temple to see all the statues, gardens, and shrines. My favorite part was the view across the courtyard from the top of the Main Shrine; it was such a peaceful environment. I also loved admiring all the intricate details of the temple as I explored the corridors. BAPS, as I like to call this temple, stood out to me so much because of the fact that the entire structure was hand-carved, from the walls and domes outside, to the ceiling and pillars inside! I was able to take a few pictures of the exterior of the Visitor Center and the main temple, but the staff was very strict on any picture-taking indoors. I placed my shoes in the cubby and put my camera away so that I could admire the Hinduism exhibit and the beautiful marble temple inside. I heard about the Pirate Tower in Laguna Beach and the picturesque views at Victoria Beach, so I decided to pay a visit to this area. 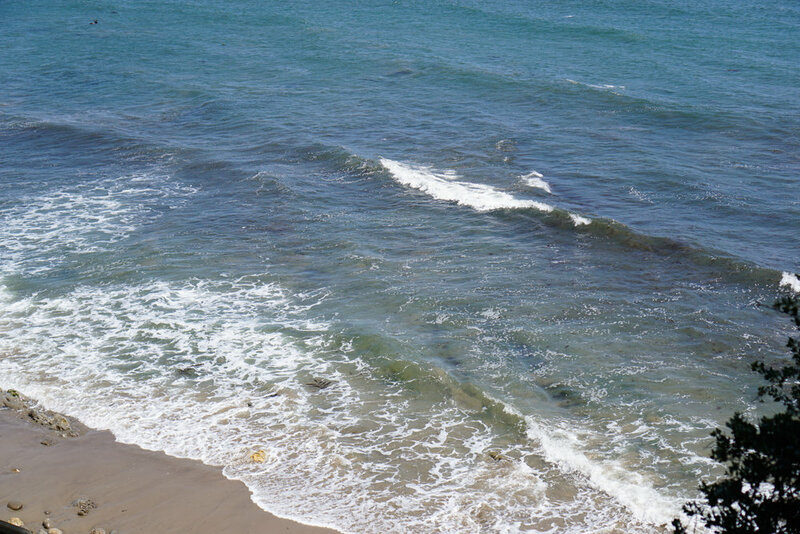 The beach was not too hard to get to since I read reviews and tips online before visiting. When I got to the beach, it was definitely quite a sight. The Pirate Tower was located to the right of where I started, so I had to cross through a few rocks to find the tower. On a day where the tide is high, it would not be safe to go searching for the tower, but that day, the tides were calm and I was able to carefully step over the rocks to get to the tower. It was definitely a unique experience to see it and I enjoyed the fresh air from the sea breeze! Laguna Beach was a more touristy spot and had more visitors than Victoria Beach. It was still worth the visit, nonetheless. I walked along the pier and also went to the sand to get a few photos of the beach with the trees in the background. Like with Victoria Beach, it was such a peaceful and calming experience to enjoy the breeze and the sound of the waves. It was definitely worth the trip just to be away from the urban environment of Los Angeles County! I hope you enjoyed this list! I know there are plenty of other spots to check out and I can't wait to keep exploring.